KATHMANDU: Nepal has witnessed an over pouring investment in the resort sector especially in the Inner Terai district Chitwan with the rapid development at a rapid pace. Preferred sites for the construction of hotels and resorts are river banks on the edge of Chitwan National Park as this allows sightseers to view wildlife across the water. While new investors have been spending money on building luxury properties, old players have been upgrading facilities as the battle to attract customers is heating up. The most common addition being made to hotels these days is swimming pools. An estimate shows that hoteliers have injected more than Rs7 billion into Chitwan’s hospitality industry in the last few years. There are around 110 hotels and resorts in the area employing more than 2,500 people. “Besides individual investors, Chitwan has seen a rise in investment by institutional investors,” said Suman Ghimire, president of the regional Hotel Association Nepal (HAN). Meanwhile, a new resort, the Rs300-million Park Safari Resort, is expected to begin commercial operations soon. The 42-room hotel is situated on the banks of the Rapti River. “We have planned to launch the resort by mid-November,” said Mahesh Khanal, proprietor of the hotel. Chitwan has become a popular adventure destination among Chinese and Indian tourists. Jeep and elephant safaris, canoeing and Tharu cultural show, among other activities, are the major attractions of Chitwan. Likewise, Sarang Wildlife Sanctuary in Meghauli has thrown open its doors. 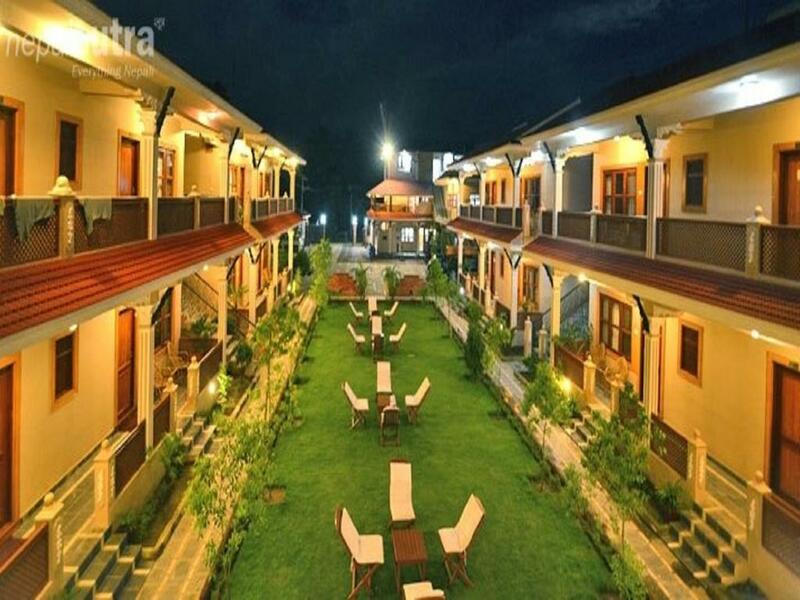 The 24-room resort features wooden architecture and is spread over 11 bighas of land. Sarang Wildlife Sanctuary was built at a cost of more than Rs50 million. Last year, India’s celebrated luxury hotel chain Taj Hotels Resorts and Palaces re-entered Nepal after more than a decade with a luxury safari lodge, the Meghauli Serai Jungle Lodge, in Chitwan. The resort has been designed to attract high-end tourists. It offers 30 guest rooms including 13 standard rooms, 16 independent villas with private plunge pools and Rapti Mahal presidential suites. Sauraha, Chitwan in south central Nepal is one of the key tourist destinations in the country after Kathmandu and Pokhara. According to government statistics, Chitwan received 87,391 foreign tourists in the last fiscal year 2016-17.